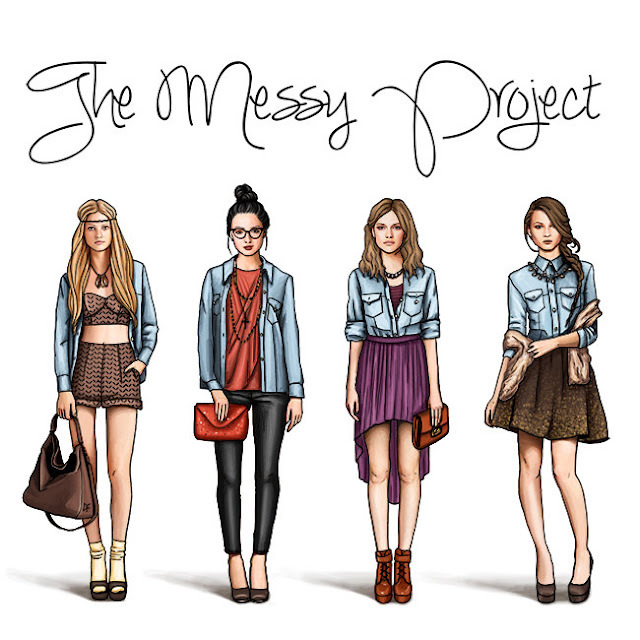 Welcome back to the one & only #TheMessyProject! so for this round I went with something completely different than the lace skirt from last week. 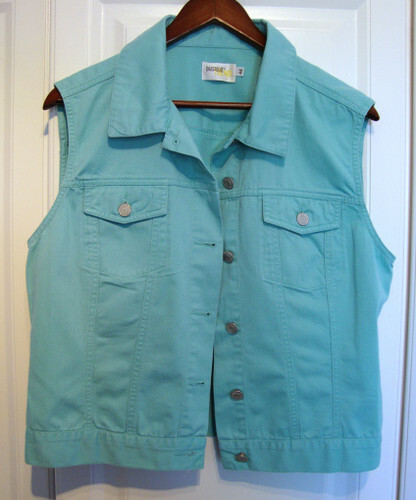 As I was looking around I was drawn to this fabulous tiffany green jean vest. I have been wanting a jean vest forever, so I stepped it up a bit and decided to go with a fun bright color for summer! SO since it is summer time and around these parts most of the time is spent in our swim suits I decided to dress around one of my swim suits. Who says you can't still be in style while going to the beach or pool?! So I am not big on mixing jean on jean but since this jean vest was a mint color I put it with my destroyed jean shorts...which by the way I have had since high school. I decided to pair the vest with my ombre swim suit which has a tint of the mint color in it. since it is a beach look I didn't want to add a lot of accessories so I just added a few beaded bracelets and a gold long necklace with a mint skull on it. I completed the look with my gladiators and white sunglasses. I also really liked the way the vest looked buttoned up as well. Both were perfect for the pool or beach! so what do you think of the vest as a beach look? would you wear a colored vest? 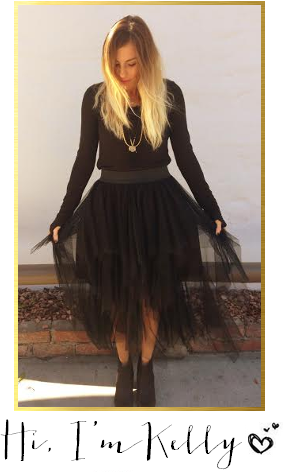 how would you have styled the look?! 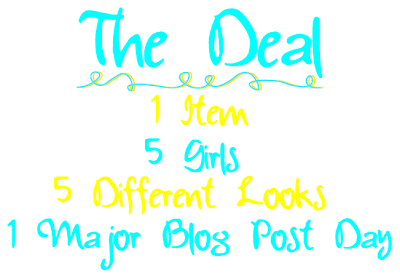 NOW go & check out the other girls & see how they styled this fun vest! Looking good! Hellos abs! Love your take on this vest! Bring on summer! I have never worn a vest but DANG girl it looks great on you! I looove that vest on you Kelly! Looks great! THANK YOU! Just say NO to jean on jean!!! Living in Montana, I see this A LOT and it bugs the ever living crap out of me! It's sometimes called the Canadian Tuxedo. Yuck and yuck! Not even Britney and JT could pull that shiz off back in the day! LOVE IT! Skinny minnie! And I have to know where you go that! Please tell me it's a chain store or available online?! I don't know why you said you need to go to the gym...your body looks bangin'! Love the vest, too. the color is amazing on you! !